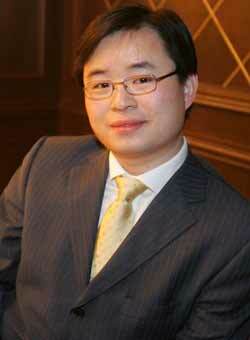 Murong Xuecun is not yet forty years old. He is one of the brightest writers of a generation which is now being translated.These writers, like Han Han and Annie Baobei, are born with the internet. 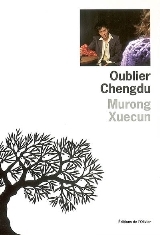 Three years ago, I regretted the small number of translations of this young generation, therefore we can welcome the release of “Dancing in the red dust”, translated by Claude Payen who is also the translator of “Leave me alone: a novel of Chengdu” published in 2006. As the author says: “I danced in it all my life. Gratitude and revenge, love and hate, I can settle my accounts, but I cannot get rid of it (p. 204). ” A highly focused world, the legal professions: lawyers and judges as well as their “side lines”, police and prisons. The narrator Wei Da, after law school, sees his initial idealism confronted with the corruption in the world of justice. He adapts quickly! A “lawyer is a man who must remember three words! Deception! Obedience! Simulation! • “Deception in front of the customer. He should boast, exaggerating his competence and relationships. • docility before the judge. He should behave like a little obedient boy. It is an environment that the author, who was a lawyer with several companies, knows particularly well. His hero is a member of a business law firm, he explains to the reader the fee systems and especially commissions for the recovery of debts or the solution of disputes between companies. You can earn lots of money if you are well known, but a lawyer is threatened by colleagues and even by young assistant (s) desperate to get a place in the sun. A condition of success is to establish “successful” relationships with judges and police. All corruption methods are described such as gifts, envelopes, original antiques presented as worthless copies and especially evenings with willing young women or prostitutes! His relationships with women are complex. Only his mother escapes his cynicism but he sees her not very often, yet it is a “weakness” that cost him dearly when he is in prison. He is divorced, his wife was cheating on him and threatened him demanding money. His assistant tries by all means to be entrusted some business. Men and women rival with cynicism. His relationship with his mistress Xiao Li is complex and interesting. It will cause his downfall. She wants to marry him, but with one of her former lovers, blackmails Wei. He is hardly more coherent, softens, want to give up … We do not know how to disentangle fact from fiction. But Murong Xuecun appeals to us with images and jokes that made him famous on the internet, also a lot of humor and often welcome. The book was published in 2008 after severe discussions with the censorship; 20,000 words were deleted and two alternative epilogues were written. 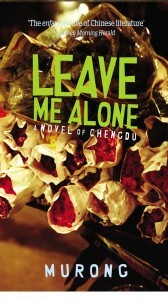 “Leave me alone…” had also experienced some difficulties but a new publication on the internet, as often is the case, helped to release the original text. His editor, Mr. Lu believes that his novels are too dark, “he is a lonely nihilist who believes in nothing.” Surprising comment as Murong Xuecun is one of the writers living in China, who takes the biggest risks to try to change the system. He still can travel but considers himself threatened especially after the closure of his Weibo accounts (the “Chinese Twitter”) last May. A disaster because he is followed by 8.5 million people and has posted 1900 messages totaling 200 000 words. The next book to be published in France in 2014, “How can anyone be so ignorant” is not a novel but a report on a pyramid selling system, a successful scam he uncovered at great risk in Shangrao, a small town near Shanghai. He denounced the system to the local police, published a book that was awarded the prize by the People Literature. But he could not deliver his acceptance speech! This text, translated by Rue89 is a superb illustration of the devastations of censorship and self-censorship. ” Danse in the red dust” by Murong Xuecun, translated into French by Claude Payen. Ed Bleu Chine-Gallimard. September 2013, 570 pp., € 29.